Everyday, people are injured and killed in automotive accidents. Many of these accidents are completely preventable. Read below for information regarding common causes of motor vehicle accidents. Despite your best efforts, if you are injured in an automotive accident, consider contacting a Riverside auto accident lawyer to help you seek the compensation you deserve. 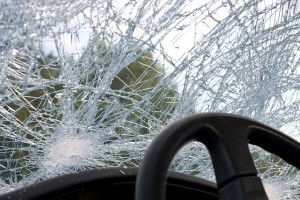 Riverside personal injury attorneys often see victims who have been injured in rear-end accidents. These accidents result when one vehicle hits the back of the vehicle in front of it. According to national statistics, this type of accident accounts for 29 percent of all motor vehicle accident. A common cause for this type of accident is distracted driving. The driver in the rear vehicle may be texting, talking on a phone, fumbling with the radio dial or engaging in other distracting activities. Many others were looking away from the roadway. This type of accident can often be avoided by drivers paying attention to what they are doing and prohibiting the use of a cell phone while driving. Some vehicles come equipped with additional safety features that can help protect occupants if this type of accident occurs, such as side airbags that protect the head area. When driving through standing water, tires must push the water out of the way so that they can have direct contact with the road. This is made possible with the tread of the tire. However, if the vehicle exceeds a certain speed so that the water is not pushed out of the way quickly enough, some water may remain between the tires and the road. This is when a vehicle hydroplanes, potentially causing the driver to lose control of the vehicle because it is no longer in direct contact with the road. A Riverside auto accident lawyer can explain that when a vehicle hydroplanes, a driver cannot control the direction that the vehicle will go because turning the steering wheel has no effect and braking will likely make the situation worse. In order to avoid hydroplaning, drivers should drive more slowly when it is raining or when there is water on the roadway. This simple measure helps tires remain in direct contact with the road since the tires will have enough time to push the water out of the way. If a driver feels like he or she is hydroplaning, he or she may simply want to stop accelerating. Applying slow pressure to the brakes may also help. Our Riverside personal injury attorneys represent victims who are injured while in a parked vehicle or who sustain property damage when their vehicle is hit and they are away from it at the time of impact. This type of accident is almost always avoidable. Drivers who are conscious of their actions are more likely to be able to avoid such an accident. They should look behind them when reversing and slowly move into and out of parking spaces. When parking their vehicles, drivers should allow enough space so that the vehicles around them can easily get out of the parking area. Parking further away from a destination may help avoid the unnecessary hassle of an auto claim. Accidents involving collisions with animals can be serious and extensive. Drivers can help avoid these accidents by staying aware of their surroundings, especially when they see an animal crossing sign. Obeying the speed limit can also help them brake in time. Our Riverside personal injury attorneys may assist victims with filing an insurance claim with their own insurance company. Understanding the common types of accidents above can help prevent you from being involved in an auto accident. However, an accident may still occur. If you need more information about your rights after an automotive accident, contact a Riverside auto accident lawyer from Russell & Lazarus APC by calling (949) 851-0222.